Check out the rest of our 1250+ Reviews on Google. Disaster Doctors is the best choice when looking for a water damage cleanup and restoration company in Park City. 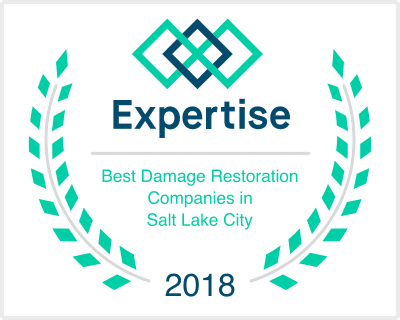 With 24/7 service and a response time that’s typically less than an hour, you know you can count on Disaster Doctors to get your Park City home or business back to normal. No matter how large or small the water damage you have is, Disaster Doctors has the licensed and certified technicians on staff, ready to get to work for you. We handle the entire process for you, from flood water mitigation, to restoration of the area affected, meaning you won’t have to hire multiple companies to get the job done, just Disaster Doctors. The insurance claim process can be a hassle, which is why Disaster Doctors will work with your insurance company for you, saving you time and stress. “Cody, Cameron and the crew were excellent to work with!! I called in the middle of the night and they were there with a team within an hour. They did a great job with mitigating the flood and getting it ready for repair. I would definitely recommend Disaster Doctors! Thank you, Cody!” – Ann C.
“I had the ceiling crash down in my bathroom due to an unknown water leak and disaster doctors were there the same day drying me out. It’s been a great experience and would highly recommend them to anyone in need of their services.” – Ryan B. Flood water damage can often not look or seem like a major issue, but even a small amount of flood water can do major damage to your Park City home or business. The longer you let water sit, the more damage it can do, which is why it’s important to give Disaster Doctors a call at the first sign of water damage, so we can start the mitigation process right away. Letting that flood water sit will cause damage to the drywall, flooring, and framing, as well as potentially promote mold growth. Water damage isn’t only caused by rain or flooding. It’s also caused by plumbing issues and failed appliances, such as a toilet backflow, leaking pipe, or leaky dishwasher. If you’ve experienced either a plumbing issue or failed appliance and have standing water, give the experts at Disaster Doctors a call today! When we begin working on your Park City home or business, the first thing we will do is remove any standing water. Our technicians will only use the best high-powered vacuums and drainage techniques with our water cleanup service, ensuring the water be removed quickly, so that we can prevent any further damage from happening. Once all standing flood water has been removed, we begin the drying process. Our technicians will mitigate any moisture that may linger in the water damaged area. Disaster Doctors uses the best drying techniques and dehumidifying equipment available. This ensures that any mold, microscopic pathogens, or unpleasant odors are removed. After the water mitigation process is complete, the final step in water damage restoration is to repair the affected area. Disaster Doctors is a complete general contractor, meaning we can make any repairs needed to flooring, framing, drywall, and more. We can even upgrade the existing area if you would like to take the chance to improve the space! Call us today to see how we can get your Park City home or office looking like new again. Disaster Doctors also provides complete sewage damage cleanup and sewage removal services to Park City and surrounding areas. There are serious health risks associated with any amount of sewage damage. Raw sewage is difficult to mitigate and contains high amounts of harmful bacteria. Black water has the potential to cause a lot of damage. Only trained experts with the right equipment should handle sewage removal. Our technicians are completely certified and ready to get your Park City home cleaned up, just give us a call today. The area was traveled by the early Mormon pioneers. One of their leaders, Parley P. Pratt, explored the canyon in 1848. He was given a charter the following year to build a toll road through it, which was finished in 1849. The basin at the top of the canyon was good for grazing, and a few families settled there. Early on, the area was deeded to Samuel Snyder, Heber C. Kimball and Jedediah Grant. The settlers named it “Parley’s Park City”, which was shortened to “Park City” in the early 1900s. The first known discovery of ore in this area was by Colonel Patrick E. Connor, who instigated his men to search the area in bringing non-Mormons to the Utah region. The finding of silver, gold and lead sparked the first silver mines in Park City in the 1860s. Park City is home to attractions such as Park City Mountain. We provide water damage Park City UT services to 84060, 84098.